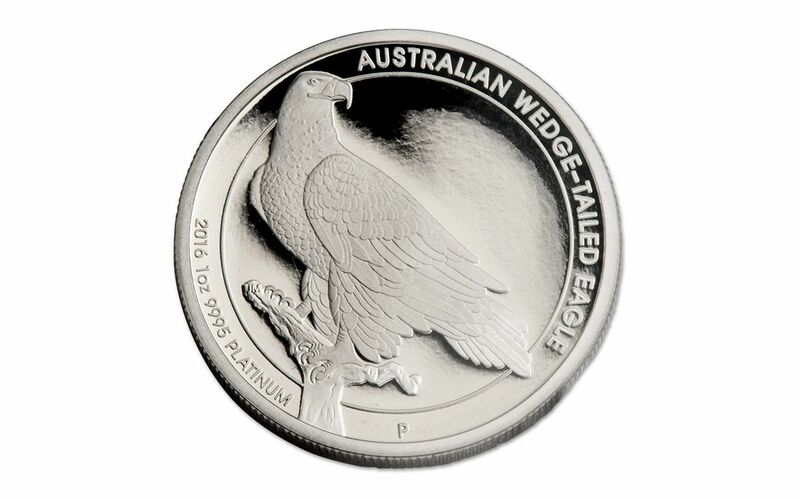 The First Platinum Wedge-Tailed Eagle Proof Signed by Designer John Mercanti! 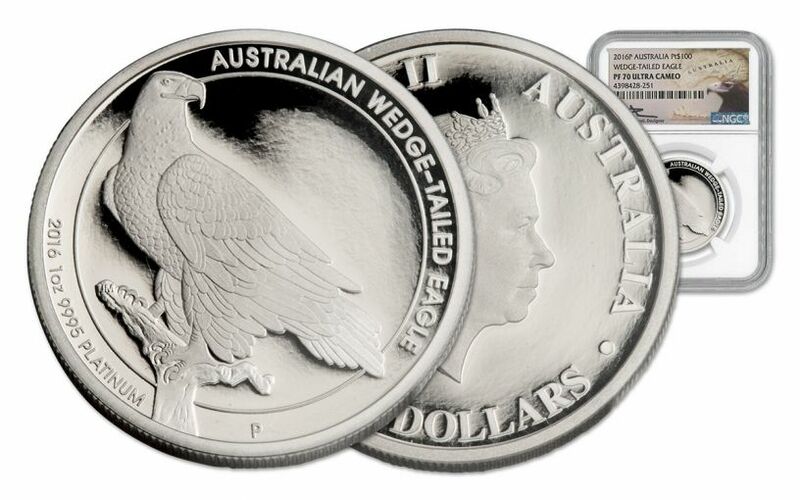 Instantly popular with collectors around the world, the Australian Wedge-Tailed Eagle series from the Perth Mint represents the first time that a former U.S. Mint Chief Engraver has designed a coin for a foreign mint. As seen in last year's impressive issue, this 2016 Wedge-Tailed Eagle is depicted sitting on a tree branch, having just landed. 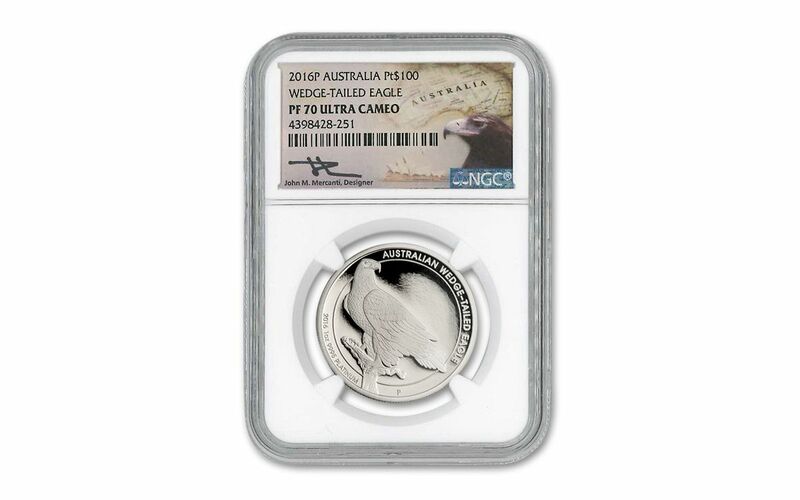 Struck in a full ounce of 99.95% platinum, each proof has been graded by Numismatic Guaranty Corporation (NGC) in perfect Proof-70 Ultra Cameo (PF70 UC) condition. It's also a first for the Wedge-Tailed Eagle series, as Mercanti has hand-signed each and every label! 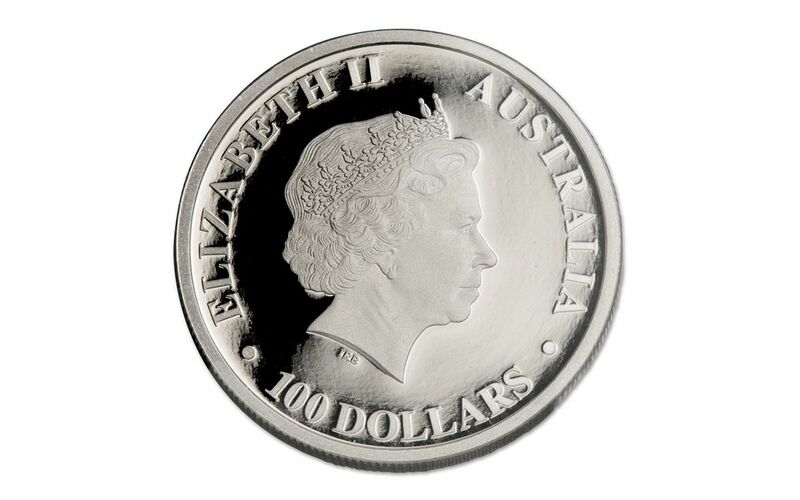 Don't wait to order -- though we have secured exclusive worldwide distribution of these incredible proofs, only a few still remain in our vault. Order now!